Can someone please tell me where the year has gone? I cannot believe it is already the end of May! School is out in this week, well last week for us, my daughter graduated from Pre-K. Which is SUPER exciting for her, and I have decided to keep her home with me this Summer, rather than sending her to daycare. 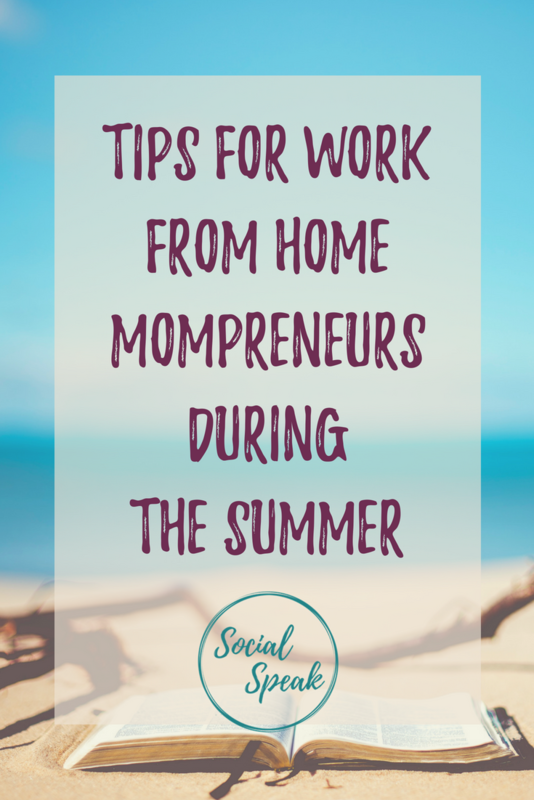 I am a work from home mom AKA Mompreneur, “I got this, Right?!? !” Oh my, to be honest, I am a little worried. Let me tell you a little back story on myself and my family. 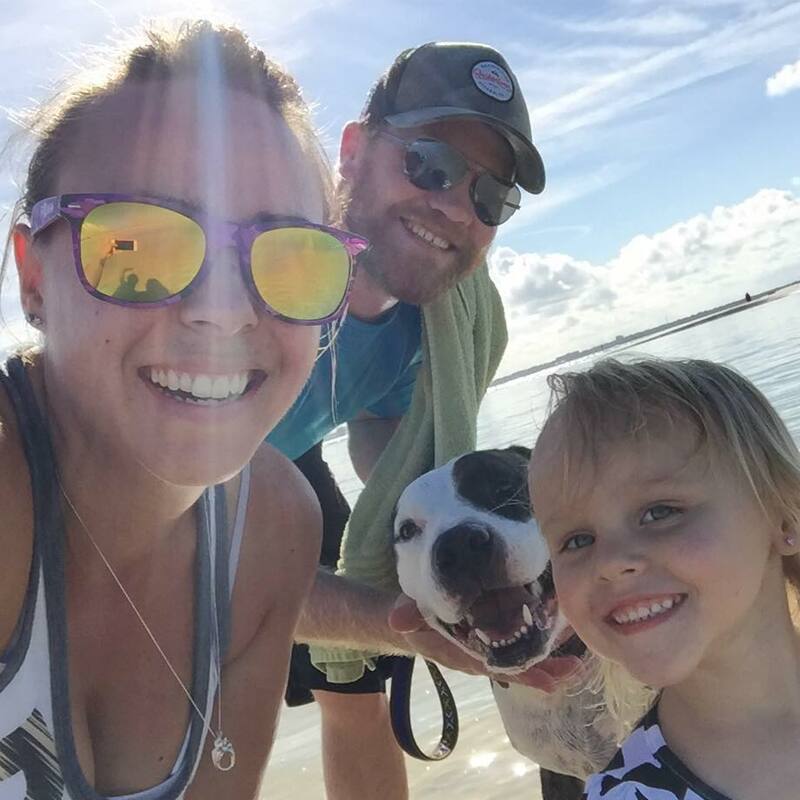 I moved to Florida with my daughter, husband, and dog in October of 2015, when we moved our daughter had just turned three and wasn’t in school yet. When we lived in Colorado, where we were born and raised, where we had all of our family and friends. They all loved helping me by watching Allisun (my daughter) so it was SUPER easy to get work done. All I had to do was call my mom, aunt, family friends, in-laws, you name it and I had someone at my house who was excited to watch her! 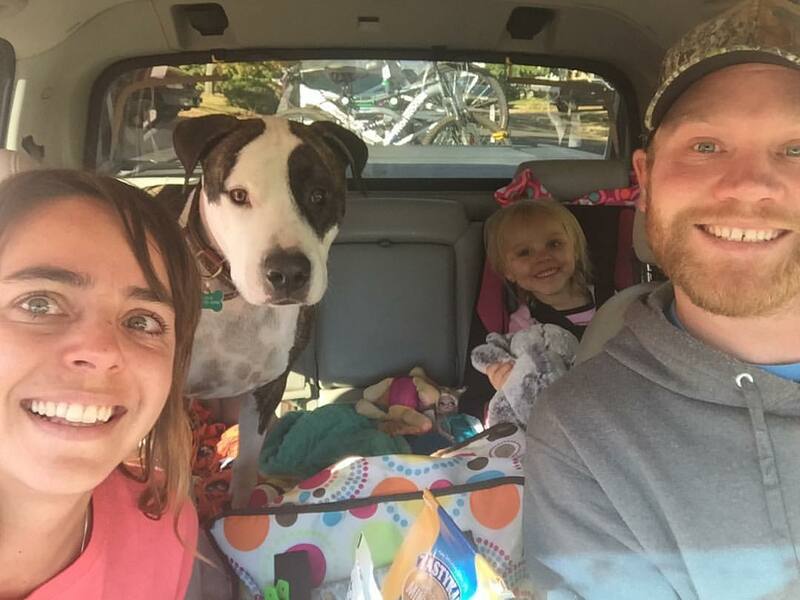 Moving to a new state and city we didn’t know anyone in the town we were moving to. It was the FIRST time in both of our lives we were actually on our own. I have worked for myself for 10 years and have always been able to work with limiting distractions, I had this in my head that my personal life couldn’t get in the way of my work! I have to be a business owner and people couldn’t know what was going on personally. So we sold our house in Colorado in September 2015 and started our DRIVE, yes DRIVE to Florida, see the red eyes in our picture, wiping the tears away. Off we go! In my head, I am really thinking WHAT THE HELL AM I DOING? AM I MAKING THE RIGHT CHOICE, WHAT IF I HATE IT, WHAT IF I CAN’T MAKE FRIENDS, YADA YADA YADA . . . When we got to Florida my husband was taking a break from corporate and figuring out what he wanted to do and looking for a lowkey job for a little while, that’s the main reason we moved, slower pace life and be able to spend more time together. Once again my personal life didn’t interfere with work! Once he found a new job we found a preschool that we put Allisun in 3 days a week so she went Tuesday through Thursday and that was perfect. It gave me time to schedule calls, meetings and get client work completed. She started VPK this past year so she was in school every day. Like I said above, she is now a VPK graduate and will be home with ME the WHOLE Summer until she starts Kindergarten. Now, I know moms all over have dealt with this before if you have had a child in school and has the summer off. Most parents either put their child in summer camps or find childcare because you have to work. I am stepping out of my comfort zone and keeping her home with me! She has a couple summer camps scheduled she will be doing throughout the summer and we have some traveling as well. I have a few things planned. I had to step out of my routine and comfort zone, call in help and ask another mompreneur down here if her daughter would be willing to watch Allisun once a week for a few hours so I could get out of the house and still attend my networking meetings and have ME time. I hate asking for help! I am also a very routine driven mama! I like working certain hours and getting my work done without distractions. That is about to change next week when Allisun is with me. To prepare myself so she is just not watching TV all day and I can continue to work, I have been doing a TON of research to figure out what I am going to do and how am I going to create a schedule! Allisun is very independent and task is driven as well, so I know having a schedule is important to both of us. What did you do to keep the balance during the summer? Here are a few tips I have found and will be implementing into our summer schedule! 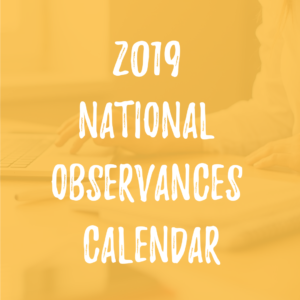 I am a person that LOVES to have a schedule, I need to know what I am doing each day, well when you have a young child at home it is important for them to have a schedule as well. Remember, mamas, you may need to lighten up the schedule or be more flexible since it’s more than just YOU now. Create a workspace for each of you, if you have been working at the kitchen counter or table that may not be the best place when your kiddo is home. I know my daughter eats all day long so I need to make sure I have space where I can continue to work and a place where she can play or work with me. Another thing to think of is, if your office is in a separate room you may need to adjust workspace so you can be involved with your child as well. I usually work from home ALL day, which I love, I am able to get my work done and stay on top of my house duties like laundry, dishes, vacuuming, which I feel like I do twice a day with our dog! I actually really enjoy working from home and have been able to put systems in place. Just because I like it, doesn’t mean my daughter is going to like it! It’s important to get out of the house, go to a library, coffee shop, kids indoor play center, out to lunch even. Find a place that allows your child to be able to play and be a kid, while you can bring your computer and work or take advantage of that play time as a time for you to read or catch up on emails. I am not saying you have to spend money every time but find fun and unique places outside your house where it’s a win-win situation for you and your child. 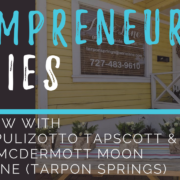 One thing that I started to do, actually this week, I put together a mompreneurs networking group. I put a post up on a Facebook group I am apart of and asked who would be interested and I got quite a large response so I went ahead and created an event. A group where we will meet monthly but can bring the kids. 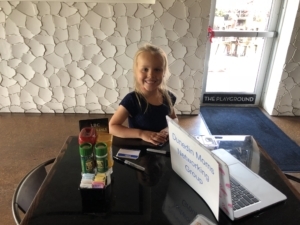 Allisun was in charge of helping people sign in on the computer, give name tags out and their handout. It was great! I was working, building relationships and Allisun was making friends but also saw what I do and a peek into leadership! One for work which I have created in GoogleSheets so I can list out what I need to get done each day for our client work and our business brand/website. One for personal “To-Do’s” like things I want to get done around the house, some may call this a honey to do list. One for Allisun, she has a daily “To-Do” as well. 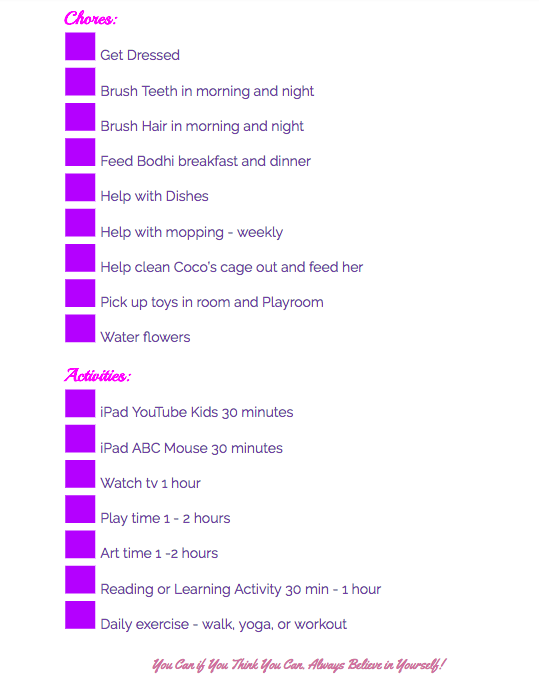 It lists out the things she needs to accomplish each day and the activities she can do within the day. This gives her a great sense of accomplishment and pride in what she can do. It also allows her to create her own schedule throughout the day while I need to work. Lists help us keep our minds organized! Lists can come in all different shapes and sizes, you may have sticky notes around the house with reminders or a few tasks on them, you may have a grocery list, house list, notebook that keeps all your lists or even notes on your phone or computer. There is not a right or wrong way to create lists, as long as you do it! We always have a million things going on and as quickly as thoughts enter our minds I think they leave quicker than they come. Have a note on your phone or voice recorder app that you can talk to and create lists, even use Alexa or GoogleHome while you are at your house. Just find a way that works for you and your family to create and organize the lists! Timers is a new thought to me, I haven’t really had to use timers before for work or home life because I feel I am a disciplined person and stick to my schedule to get things done. Well . . . that was until I had a 5 1/2-year-old running around the house! She is super self-efficient BUT still needs help. She wants my attention. Whether she needs to get a snack and needs help or if she is wanting me to play. I have quickly learned by setting timers we all get what we want. I have started to have Alexa set timers for bathtime, iPad time, TV time but more importantly MY work time. Keeping me on track and focused on what I need to do. I tell my daughter I am setting the timer for 1 hour and mommy needs to get a few things done for work and she can either use her 1 hour of TV time or playtime and once that hour is up we can do an activity or go on a walk. Whatever that is, you need to all agree on it. If you set 3 timers during the day for an hour each you can get a lot done if you think about it! You may need to use timers more throughout the day depending on the age of your child and situation. Travel time is HUGE! You are driving an activity, networking meeting, playdate etc. Schedule your quick calls in between that time, you can also use that time to listen to podcasts or even books on audio. This drive time can be anywhere from 15 minutes to even an hour, you can get a couple calls done and out of the way so when you are at home you can focus on your work and tasks that you need to accomplish and not get distracted with calls. These calls don’t always have to be business, these can be calls to friends and family as well. For me when I am at home working I want to get stuff done, but sometimes the phone doesn’t stop ringing, it can be my sister, my mom, friends whoever it is I love them BUT I am WORKING! So take advantage of the drive time! 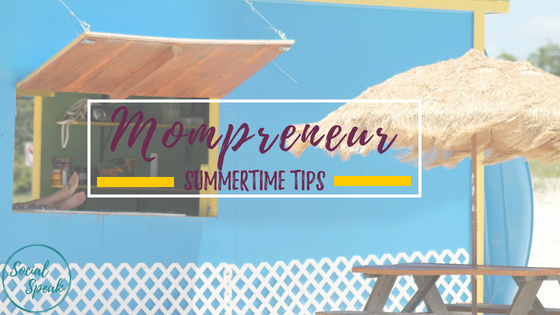 I know it’s summertime and we are looking forward to staying up later or sleeping in, but as a mompreneur, it’s important to keep that routine for you and your children. Keep bedtime at certain times and make sure they are still getting up at the right time. I know things come up and change so remember to keep that flexibility, but 80% of the time we want to keep that routine. Kids do well in life when they have had a routine and you are eliminating the fights about bedtime or homework time when school starts back up. We as moms still need to work, and the children need to respect that. This is hard for me personally. I really don’t like asking for help and haven’t had to do too much since we have moved. We have a large support group and great friends that always say “If you need help during the day, let me know” . . . . it’s one of those things like do they really mean it? 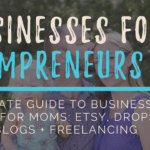 HA, If you have a good support group of other mompreneurs or family that is willing to help out and watch your little one for a couple hours a week, take advantage of it! You can still work from home but you are OFF limits, or you can go to a coffee shop or library by yourself and get stuff done. The other option which I am doing is having a babysitter come over once a week for 3-4 hours at $10/hr. It’s something we needed to add to the monthly budget, but we were already spending $75/week when she was in VPK. I have realized if I stick to my schedule, have a clear “To-Do” list I can get SO many things done in 3 hours per week. I am going to make that my blogging time, client projects, research etc. The items I need to have FULL focus on and NOT multitasking at. It’s ok to ask for help! Trust me! At the end of the day, we are all trying to grow our businesses and raise awesome kids, right? Remember to be flexible with yourself and others, things come up, life happens and sometimes it’s hard for us to allow those things to mess up our schedule. I know for me I HATE when life gets in the way of my work, I am a workaholic and LOVE to work, but there are times when my daughter is sick and needs me more, or I don’t feel good or something is a little more important than writing my blog. Give yourself grace when it comes to being a mompreneur. We can’t be perfect 100% of the time! We are close though! Set boundaries with friends and family if you need to, if they are stopping you from moving forward or getting work done, let them now times and days they can come over or let them know you need their support, and YES this is your job (Blogging, videos, social media, making products, etc.). We have a tough job here ladies, we are changing the world and taking care of our families. Some days you may need to get up earlier or stay up later, you may miss out on some of your own TV time to finish work, but think of it this way, you are creating your own reality and allowing yourself that flexibility and freedom, well, isn’t that why we are in business for ourselves? 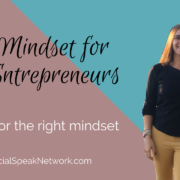 If you are ready this blog and want to create an online business or grow your business, we are creating a weekend event in September where we will be diving deep into what is your passion and how do you create a business around that. If you have a current business, how do you fall in love again with it and take it to the next level? Stay tuned and we will be putting out the details before June 8th! Enjoy! 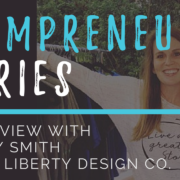 Interview with Casey Smith - Wild Liberty Design Co.